The Outer Banks is located on the Atlantic Coast of North Carolina. Their location makes them at least a few hours closer to many eastern metropolitan areas than other beach destinations. For those living in the Washington D.C., Philadelphia, New York and the Boston areas, going to the Outer Banks will result in more time at the beach and less time traveling. The Outer Banks is not just a single destination, it is a group of destinations situated along a string of islands. 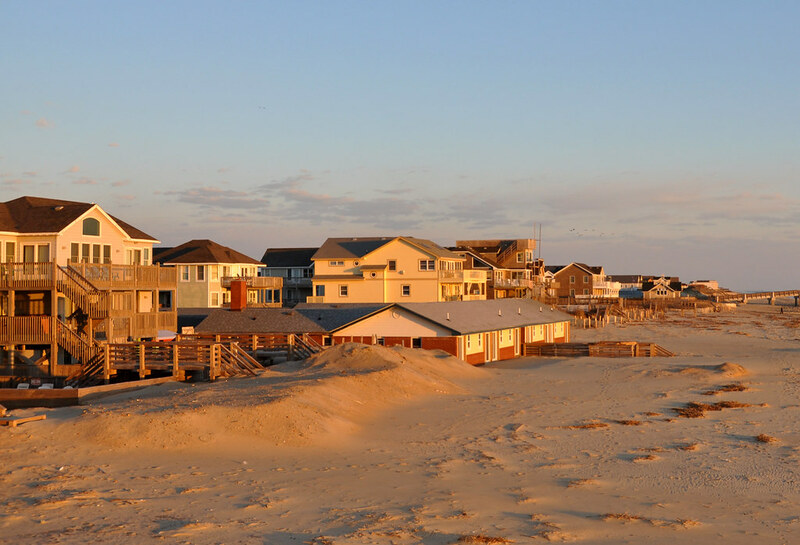 The towns of Corolla, Kitty Hawk, Kill Devil Hills, Avon and Hatteras are just a few of the places that a vacationer can stay at on the Outer Banks. Throughout the area, there are sandy beaches, quaint shops, a variety of restaurants and numerous historic sites. The various sites can be visited by use of a scenic highway that runs between the Atlantic Ocean and Pamlico Sound. Due to being surrounding by water, vacationers in the area can watch the sunrise over the ocean and set over the sound. Though there is plenty to do in the Outer Banks, spring breakers looking for some peace and quiet should consider spending their time in the area. All night traffic, loud revelers, car alarms and sirens are not common sounds at the Outer Banks. Those who would rather hear crashing waves, an ocean breeze and seabirds will feel right at home at the Outer Banks. In addition, the Outer Banks is a far safer destination that most other spring break destinations. You can even rent private Outer Banks house rentals to ensure you have the utmost peace and quiet. Though the beaches in Florida, Myrtle Beach and other destinations will likely be packed, the Outer Banks provides miles of beaches and room for everyone. Though there are rules to follow, the ability to drive on the beach helps people to spread out and find an isolated spot. Campfires are even allowed on the beaches in some spots. Driving out on the sand and sitting around a fire is something that can’t be experienced in many places, but it is not uncommon at the Outer Banks. The Outer Banks is more than just a place for a leisurely summer vacation. It is also a great place for a relaxing spring break trip with lots to do and lots of space to enjoy.